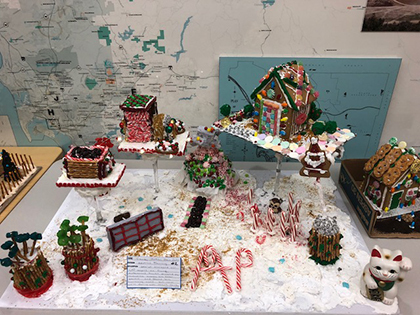 These gingerbread houses took some elaborate planning to make – so it makes sense that the County’s Planning and Development Services was behind their construction! 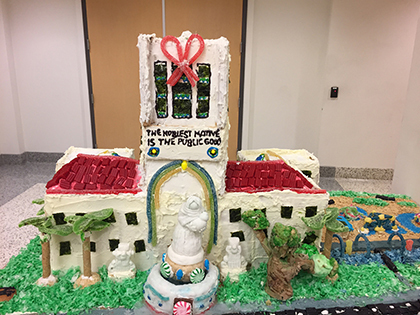 The department had its second annual gingerbread house competition among its divisions. 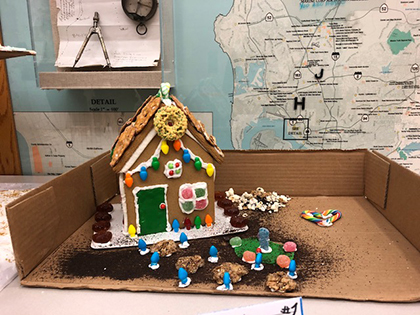 Corinne Schwartz, a departmental human resources officer, said the employees split up in their divisions, like Zoning or Land Development, and have one week to collaborate on the extravagant houses. 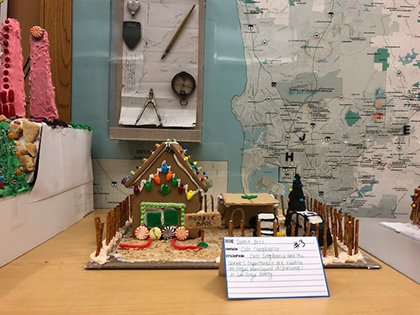 Employees work during their lunches, breaks and even after hours, making sure they pay special attention to detail to ensure a first-place spot. 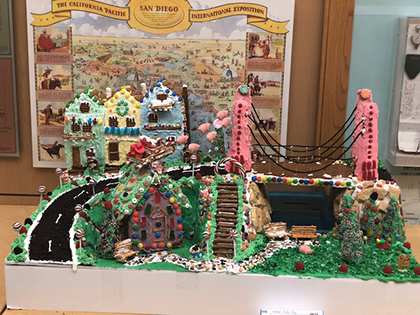 The Land Development division crafted a County Administration Center gingerbread house, but it was beat out by just a few points by the Zoning division, which named their creation “When Pigs Fly” (you can see the pigs pulling Santa’s sleigh in lieu of reindeer). 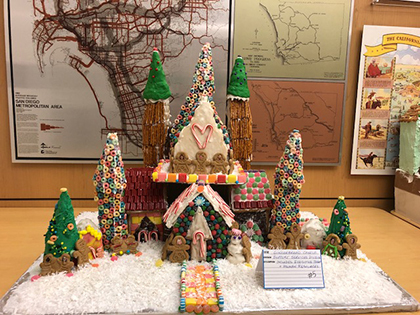 Check out all the festive fun below.